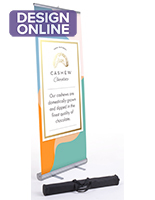 This pop up banner trade show kit is the ideal traveling exhibit booth to display your brand at any event. 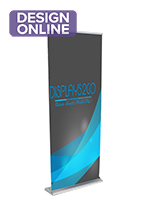 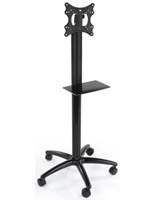 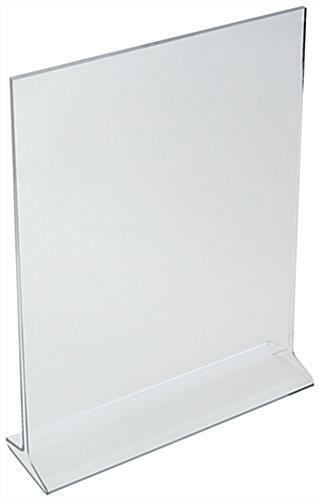 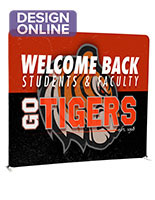 The 2 graphic stands include single sided custom printing to expose your brand. 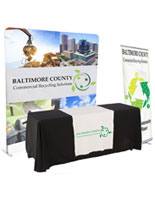 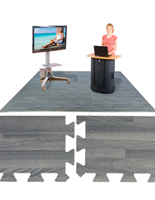 This portable trade show kit is simple to set-up and has all the accessories to make an impact even in a small space. 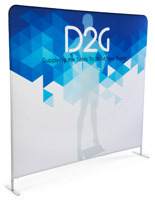 Each piece was made with quality and simplicity in mind to represent your unique marketing messages in a concise, clean method. 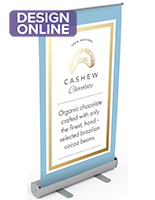 The custom graphic stands retract from the base in seconds for a quick set-up and each include a traveling case to keep brand messages looking like new. 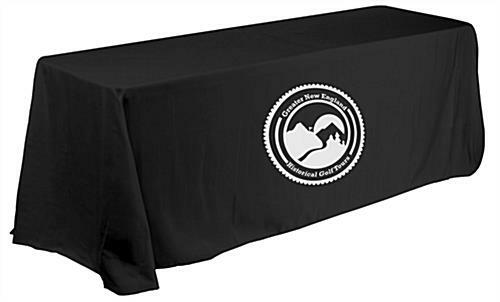 The large black tabletop throw with 1-color imprint highlights products and brochures to engage attendees at any special event. 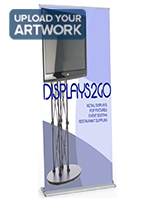 This trade show kit has all the accessories needed for an appealing and informative exhibit booth to advertise your business or recruit for your university. 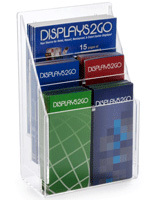 Slide in company information or upcoming events in the vertical sign holder for potential customers to view as they enter your booth. 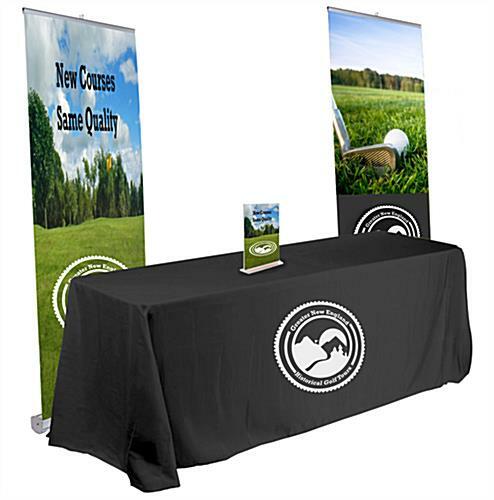 Stand out from the crowd with custom printed logos and a welcoming environment to grow your brand message at any exhibit. 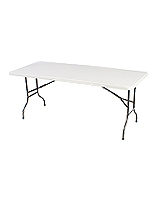 4.0" x 34.0" x 4.0"
33.8" x 82.5" x 15.5"